This book provides an account of the triangulated theory of motives. Its purpose is to introduce Motivic Cohomology, develop its main properties and, finally, to relate it to other known invariants of algebraic varieties and rings such as Milnor K-theory, étale cohomology and Chow groups. The book is divided into lectures, grouped in six parts. The first part presents the definition of Motivic Cohomology, based upon the notion of presheaves with transfers. Some elementary comparison theorems are given in this part. The theory of (étale, Nisnevich and Zariski) sheaves with transfers is developed in parts two, three and six, respectively. The theoretical core of the book is the fourth part, presenting the triangulated category of motives. Finally, the comparison with higher Chow groups is developed in part five. The lecture note format is designed for the book to be read by an advanced graduate student or an expert in a related field. The lectures roughly correspond to one-hour lectures given by Voevodsky during the course he gave at the Institute for Advanced Study in Princeton on this subject in 1999/2000. In addition, many of the original proofs have been simplified and improved so that this book will also be a useful tool for research mathematicians. The notion of a motive is an elusive one, like its namesake the "motif" of Cezanne's impressionist method of painting. Its existence was first suggested by Grothendieck in 1964 as the underlying structure behind the myriad cohomology theories in Algebraic Geometry. 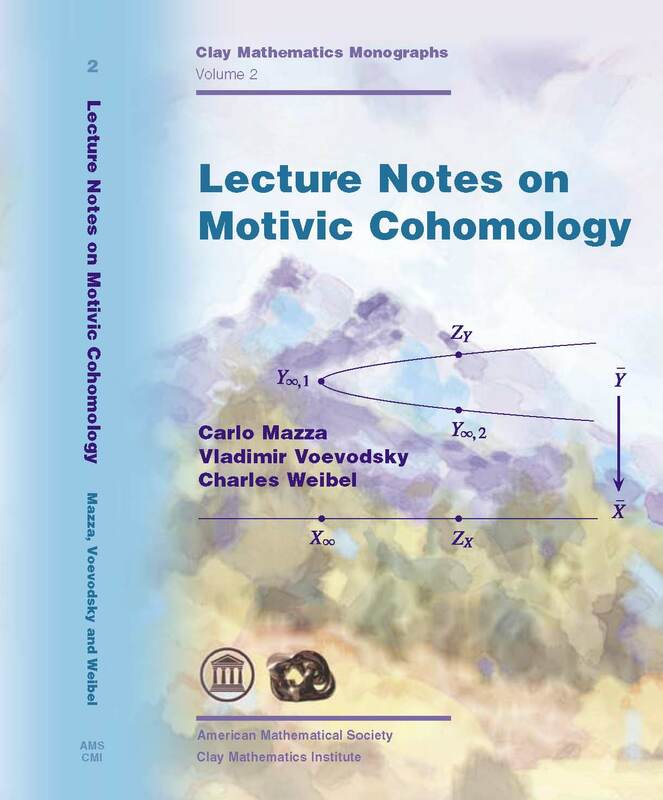 We now know that there is a triangulated theory of motives, discovered by Vladimir Voevodsky, which suffices for the development of a satisfactory Motivic Cohomology theory. However, the existence of motives themselves remains conjectural.